Two very interesting articles in today’s Wall Street Journal. The first one discusses the recent poor financial performance of McDonald’s. Interestingly, the company’s response is to encourage franchisees to provide better service with a smile. It identified the top customer complaint as “rude or unprofessional employees.” Customers apparently have found service chaotic and it described the average drive-thru order wait time of 188.83 seconds. I suppose a three minute wait time for your order must feel like forever in an idling vehicle, but that still sounds awfully fast to me. The company is even remodeling and sprucing up restaurants to appear more appealing, but one major area of emphasis seems to be missing: the food. It’s awful. Nutritionally lacking, poor tasting, lukewarm products are the problem. And, have you actually tried a milkshake? It tastes more like flavored foam than actual ice cream. The burgers are disgusting no matter how many condiments are used to either drown the ugliness or spice up the bland mystery meat. Clearly I’m no fan of McDonald’s food, but I don’t think it’s just me. What do you think is the problem at McDonalds? The next article does not bode well for the future of traditional computer sales. Apparently the rapid growth of iPads and tablet PCs have sharply decreased the demand for personal computers, including laptops and desktops. In separate reports from IDC and Gartner, both respected industry research firms, estimated a decline of 14 percent and 11 percent respectively in world-wide shipments. 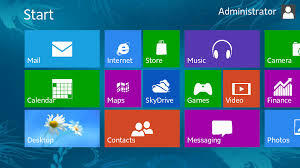 Adding to the problem is the latest operating system from Microsoft, Windows 8, that has failed to take off. In fact, it has been shunned by so many I.T. professionals as an inferior product to its predecessor, Windows 7, that many companies are choosing not to upgrade. The problem: Windows 8 has at best, missed the window of sales opportunity or is simply a bad product. It has certainly failed to deliver on the long-promised user experience with features many hoped would make the transition from desktops and tablets an easy, uncomplicated and glitch-free experience. Ask any IT professional what they think about Windows 8 and if this is the case of a bad product. What do I think the problem at McDonald’s is? The number one problem is they spend all of their resources on marketing new fancy names, packaging, commercials, slogans, and toys. Imagine if all of their resources went into improving their actual product=the food. I would interested to know what percentage of their budget goes into the food and what goes into their marketing/advertising budget. If they were to switch their focus from having their marketing efforts emphasize a quality product rather than their current focus which is to distract people from the low quality food they would be much more successful. McDonald’s is long overdue for a food makeover. Because in the end it’s the food, not the customer service, that keeps customers coming back. I agree with Clay and Audryana00 that McDonald’s problem is the food. There are some “rude” employee sometimes, but that does not stop me from eating there if the food is health and tasty. There are so many videos on YouTube about the food sources and quality of McDonald, such as Super Size Me which discourage people to continue eating their food. I believe that McDonals is having poor financial performance due to the “rude and unprofessional employees” but most importantly because now a days people are being educated about healthy eating. More people today know how bad the food is at McDonalds and choose to eat elsewhere. Definitely the “eat local” movement has been helping bring awareness about where the food came from, what was used in the food and other information about the grower/producer. It’s true that McDonald’s has been lagging behind in this movement here in the U.S. However, I think we will see McDonald’s change to a more local look. Walmart is a good example of a company that tries to look local in areas where being corporate is frowned upon. They changed their store design radically compared to what they used to look like. I think we will see McDonald’s head this way as well. I agree that a significant part of the company’s poor financial performance may be the move away from fast food. While people still eat fast food a lot, I think the ones that have the option to avoid it are definitely avoiding McDonalds; the company has been on the receiving end of a large amount of criticism lately, and I believe people are reacting to it. 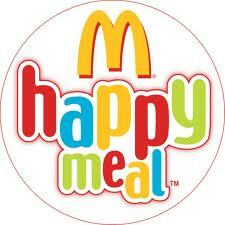 Food quality and unhealthy food options are definitely problems that McDonalds is facing now. Another problem that the company has is insufficient employee training and low employee engagement. Most McDonalds employees are part-time. They seem are not 100 percent committed to the company. Without sufficient training, they may do not understand that what they say and do stands for the company. In order to improve their service, the company should at least consider its employee training program and also provide employee reward program. I agree with your ideas. I think that the restaurants’ quality of food and services are very important. The meal price may influence the food of quality, services, and so on. Today, people pay more attention on their shape, weight, and health, so their diet may try to eat more fresh vegetables or fruits, organic and healthy food in their daily life avoiding eat the junk food. If McDonald can offer more diversified healthy menu such as fresh vegetables and fruits, grain, yogurt, and so on, it may attract consumers and increase their revenue. Part of the “problem” is also that McDonnalds isn’t a food company, it is a real estate company. Since its early years, McDonnalds has been focused on purchasing land and renting it out for franchising; food has always been an afterthought to this. I think that the flaws of this model have finally caught up with them, as you need to have a product worth purchasing in order to keep the machine alive. Unfortunately, I could not find where to post for the windows 8, but I guess Ill just do here. I have to agree with the fact that the windows 8 platform did not take off as planned. However, I wanted to point out the good of windows 8 and the general idea behind it. First, the idea of creating the same platform for your computer, smartphone, tablets and other devices is a good idea. Instead of having multiple different platforms why not just create one for everything. This would life, so much easier when syncing various material and devices together. Secondly, everyone would be to use the platform. This means that if you pick any device, it will be extremely easy to use instead of using one operating for one device and a completely different operating system for a different device. However, as we all saw, consumers were not happy with the software and user interface. It lacked several key functions that people have gotten so used to and therefore was not received well by consumers. Additionally, the user interface is best used with a touch screen. That means you have to buy a screen that supports such capabilities. I 100% agree that a large component to McDonald’s financial losses is their awful food. I am not a fan and I think that a large majority of Oregonians (or Portlanders) are. I like to think we are a more conscious culture when it comes to natural food. As for Windows 8, my company has actually chosen to not upgrade to this platform at the suggestion of our IT person. I hate it when I’ve used it; so confusing! Anyway, I believe that Americans have to learn going back to the roots, almost literally, by educating themselves what real food is, how far away fast food that is being served today is from real food. It would help the obese population to find back to their healthy lifestyles and healthy weights. I think the title of this blog post really says a lot. Not only can good PR not fix a bad product but good advertising can’t fix a bad product either. Not only is McDonalds suffering from bad quality of food they are also suffering in the service department. The combination of those two things is going to help people make the decision to go somewhere else for their food. People can spend a little bit more money and go to an amazing Portland food cart in just a little more time. There may be many factors going into McDonald’s poor financial performance (a move to healthy food, terrible food in general) but I’m always wary when people say it is because of “bad service.” Working in retail, I’m usually very hesitant to side with the customer in situations like this. While there can 100% be cases where the employee is rude, I have seen so many times where employees are blamed and it is not their fault. Even if I go above and beyond for a customer, there are people that are rude to me, blame me for things out of my control or for their mistakes, or are just coming in ready for a fight that they start even without me being rude. It makes me quick to defend employees when this is cited as a reason for a situation. Being around the PC my whole life, the second article really resonated with me. Now, I don’t considering myself a huge I.T. guy, but I can whole-heartedly agree with the Windows 8 situation. I built my own computer and dealing with the new software of Windows 8 was incredibly frustrating. The UI and interface itself was not user-friendly for PC users. The only aspect I can approve of for Windows 8 is the App window/tile formate they used to accentuate for touch screens and tablets. Overall, I feel that Windows was trying to innovate past something that they haven’t mastered yet. To make up for it. Windows 10 is coming out soon and is said to accommodate those who want the old Windows experience, but still keep the Windows 8 format around. Nearly anyone with old Windows software can obtain Windows 10 for free! Hopefully this will help Microsoft pinpoint their problems and gain the marketshare they want. This article is so true! Even if you have the best PR team ever, people won’t trust if you don’t provide them good product, with a certain level of quality and basically if they don’t trust you as a brand ! Your communication actions have to be global and to apply to every aspects of your company.